Great news! 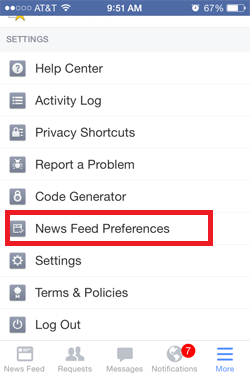 Facebook is making it easier for you to see my posts and the posts of other pages you want to show up in your news feed. You can do this from your desktop by click on the drop down arrow in the upper right corner. Or Mobile by clicking on “more” in the bottom right corner. 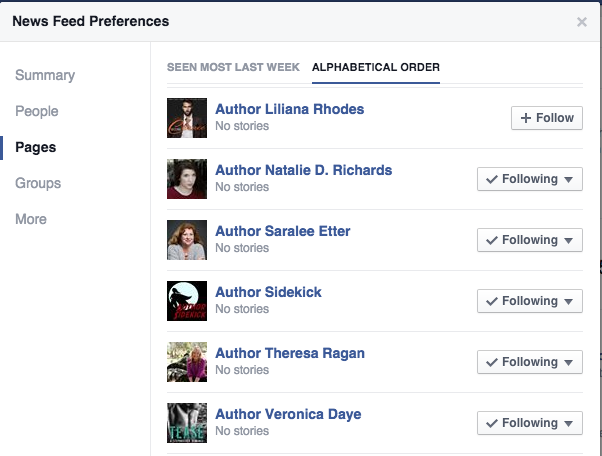 Next, click on “Pages.” If you’re having trouble finding my page, click on “Alphabetical Order.” I’ll be near the top (Author Liliana Rhodes). 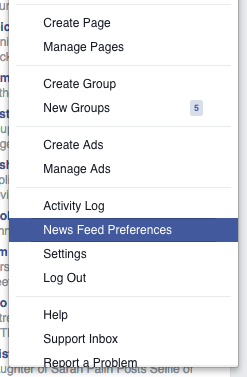 Click on the dropdown arrow and select “see first.” Now, my posts should show up at the top of your news feed. Remember, if you want to stay updated on when I have new books releasing, the best way to do that is to sign up for my newsletter on my website: www.LilianaRhodes.com.